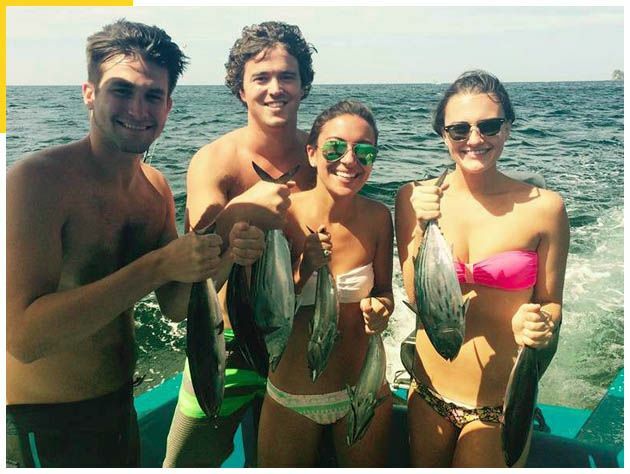 Enjoy Snorkeling & Sport Fishing. 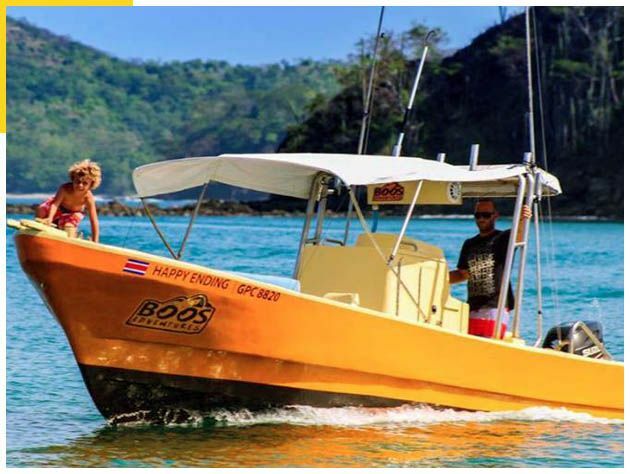 Up to 6 people can share a Panga Fishing Boat, in Playa Flamingo Beach Costa Rica, we can also bring along snorkel gear for a swimming stop along the way. The beaches around Flamingo are some of the most beautiful and secluded beaches you will ever see, your Captain and guide will select the best snorkel spot of the day judging the wind and sea conditions for the clearest views possible. The volcanic lava reefs in the area are filled with a multitude of reef fish and sea urchins, star fish and anenomes. you might see turtles, rays and/or puffer fish. After a light snack and refreshmants we will fish around the outer islands off of Flamingo, Guanacaste, Costa Rica and might visit the Catalinas Islands as well. $380+ $15 p/p for fishing license fee. Afternoon Tour Includes: Drinks (sodas, water fruit juice) Chips with Dip, Fresh Pineapple. Price For 1 to 4 people. *for every additional extra add $50 per person with a maximun of 6 people. $570 + $15 p/p for fishing license fee. 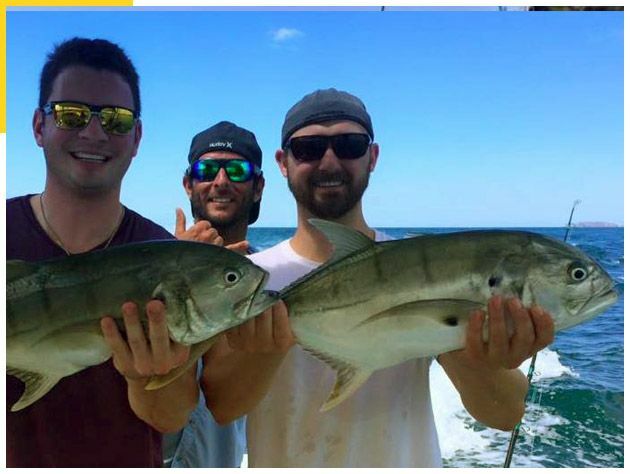 $760 + $15 p/p for fishing license fee. Tour Includes: Drinks (sodas, water fruit juice) Chips with Dip, Fresh Pineapple and Tuna Sandwiches. Price For 1 to 4 people. *for every additional extra add $50 por person with a maximun of 6 people.